UPDATE: The old Caldeni is no more. It is now an expanded Bardeni. A top-value meat feast for discriminating diners: by far the best restaurant near Barcelona’s la Sagrada Familia. I sometimes complain that there are too many tourist traps and not enough good restaurants around the Sagrada Familia and the Hospital de Sant Pau, the area of Barcelona where I live. And when I find somewhere superb, what do I do? I wait five years between visits. In my defence, I’ve been to Caldeni’s next-door spin-off, the “meat bar” Bardeni, but the last time I ate in the restaurant itself was 2010. This, frankly, is idiocy and I know it, which is why I finally booked a table and walked down there again on a late October evening. The restaurant itself has been redesigned and makes good use of its limited space, with a generous amount of room between its tables. The interior is smart but generic, all greys and blacks with splashes of colour provided by art on the walls. Chef Dani Lechuga is best known as a meat dish specialist but he is no glorified grill captain. In the ten years since he opened Caldeni, the former Catalan Chef of the Year has matured into a confident and capable all-rounder, who builds on a base of expertise developed in his family’s meat business and delivers a wide range of contemporary dishes, including plenty of fish and vegetables. But don’t worry: there’s still a lot of meat. If you want a plateful you can opt for the à la carte main courses at around €20. At lunchtimes, the magnificant menú del día costs €26,40. The best choice, however, is the €55 tasting menu, which my wife and I ordered. Crisp orgegano and dehydrated tomato cheese ‘pizzas’ were served as snacks. These were similar but improved versions of the ones I’d eaten during my last visit. Still very moreish. A delicious but unphotogenic leek ‘cappucino’ – essentially a lovely leek soup – was served with an unnecessary clam at the bottom of it. Then marinated sardines, tomatoes from the nearby Maresme coast, and a clear seaweed sauce. A version of Balearic sobrassada made with Nebraska Angus beef instead of pork, drizzled with honey. It was great: smoky, deep and different. Mi-cuit foie with artichokes, plus maize crunch and ice cream, was wolfed down before a photo could be taken. The contrast of temperatures and textures added interest to the richness. Ox-meat canneloni with wild mushrooms was wildly good. No suprises, just fathomless depths of flavour. Wild mushrooms again, this time boletus, in rice with a local gamba roja (red prawn). Good rice, 10/10, with yum-inducing umami and stickiness, and a prawn of head-sucking perfection. Dani, like me, is a huge fan of boxing and MMA and this was a left jab, right cross of a dish: a no-frills combination executed to knockout effectiveness. The line between meat and fish was blurred a little with the next dish: a kokotxa de atún (tuna cheek) cooked to resemble a shin of beef, served over gnocci and bone marrow. Meaty and tender, it easily overcame my 2015 feeling of tuna fatigue. A simple but perfect Angus steak tartare was preceded, as in Bardeni, by the welcome question of ‘how spicy would you like it?’ This allowed me to try it both picante and not-so-picante as my wife was starting to feel quite full by this stage and I got leftovers. But still the dishes kept coming. I was having a great time and the mood wasn’t spoiled by the Nebraska Angus fillet steak with a Café de Paris sauce. Carne made carnal, this was stupendous: a complex 2-day-in-the-making sauce caressing mature beef. Then, to finish the meat feast, one of my favourite cuts: an onglet with Montsant red wine and marinated sweet onion sauce, served suitably rare. A delicious and palate-cleansing coconut, pineapple and dried raspberry pre-dessert. Then a pleasant deconstruction of a Black Forest gateaux, which sent us back through the decades to enjoy a straightforward cherry ice cream and chocolate sponge (no photo). Total bill for two including half a bottle of Muga, glass of white, water, coffee etc. was €137. Dani Lechuga is on very strong form, cooking a well-thought-out and accessible menu of big flavours. Caldeni doesn’t lack creativity but leans heavily on classic techniques and skills. The quantity and quality of the tasting menu make its €55 price tag look like a bargain for this level. I had no complaints about the bill or the service, and certainly not about the food. If pushed to criticize, I’d say that the desserts – while improved from my last visit – are still underdeveloped. And, obviously, this probably isn’t the best restaurant to bring a vegetarian guest, although I wouldn’t rule out Dani being up to the challenge. Now that Alkimia has moved away from the area, there can be no doubt that Caldeni is the best restaurant near the Sagrada Familia. It’s still, somehow, more full of locals than tourists. My advice: don’t wait five years to book a table. 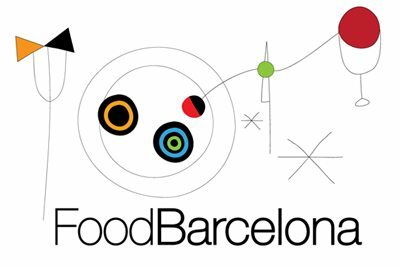 Find Caldeni on the FoodBarcelona restaurant map. You had me at the bone marrow..! I’ve been looking for a restaurant that does good meat (I’m kind of getting tired of the few ones I know) and this seems to hit the spot. Looks great. It’s definitely worth a visit, as is its sister restaurant next door, Bardeni.